Bard Hoover joined Marcus & Millichap in January of 2010. He started his real estate career nearly 30 years ago focusing solely on multifamily assets. Over the course of his career, Hoover has been involved in the successful sales of more than $600 Million. He combines his years of experience and in-depth knowledge of the multifamily industry with Marcus & Millichap’s powerful research services to provide his clients with expert guidance beyond the acquisition and disposition of multifamily assets. Through his advisory services, his goal is to develop long-term relationships with his clients by analyzing their individual needs and providing clear evaluation of market conditions, as well as the option available culminating with the team’s recommendations. Prior to his association with Marcus & Millichap, he was an executive vice president at The Apartment Group and served in a COO capacity where he was involved in all aspects of marketing Class A institutional multifamily properties ranging in value between $20 million and $60 million. Before joining The Apartment Group, he was the president of Bentley Arbuckle, Inc. where he was responsible for all strategy, business operations, and branding for the $6 million manufacturing company. Hoover was promoted from national sales manager to vice president in 2000 and to president in 2004. His real estate career started in 1985 as an appraiser for the Wilson K. Mason Company. 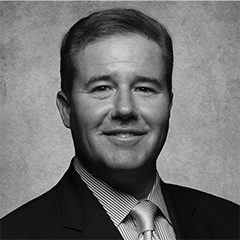 Hoover joined CB Commercial Real Estate Services in 1990 and was a member of the multifamily team where he helped package, underwrite and sell multifamily properties totaling more than $180 million. Hoover graduated with a Bachelor of Arts in economics from the University of Texas at Austin. He is married to Kathryn, and they have two children, Jackson and Amon. They are active members of St. Michaels Episcopal Church in Dallas.